The work has a maximum budget of $50 million through various indefinite delivery indefinite quantity contracts. 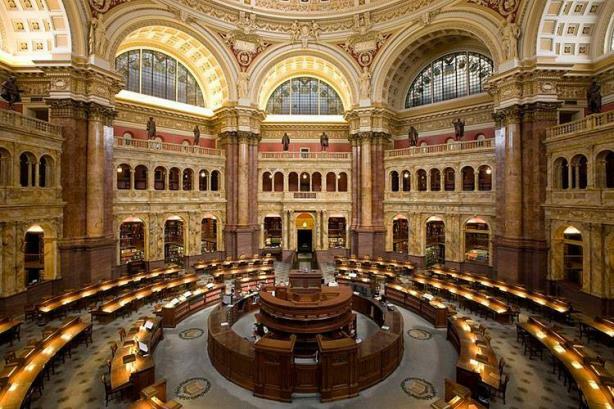 WASHINGTON: The Library of Congress is seeking agency support for PR and event planning and operations with the goal of boosting public awareness and support. The institution expects to award various indefinite delivery indefinite quantity (IDIQ) contracts, according to a notice posted on Thursday. Firms may apply "to provide one or more of these three types of service," according to contract documents. It is looking for PR services including strategic counsel, research, outreach, planning, media consultation, and event execution, as well as online outreach, according to the documents. The contracts are expected to run from May 1 through the end of April 2016, with four annual options to renew. A contract specialist at the Library of Congress confirmed the award minimum is $5,000, and "the maximum ceiling throughout the life of the contract is $50 million." The work will include event planning, event operations, and logistics and PR support for the 2015 National Book Festival. Responses to the solicitations are due by March 3, with the festival scheduled for September 5. A representative could not immediately say whether there is an incumbent on the work outlined. FleishmanHillard has "helped coordinate the annual event and PR campaign, highlighting the festival’s national appeal and positioning the Library as a unique source of inspiration and imagination," according to the agency’s website. A representative from the firm was not immediately available for comment.